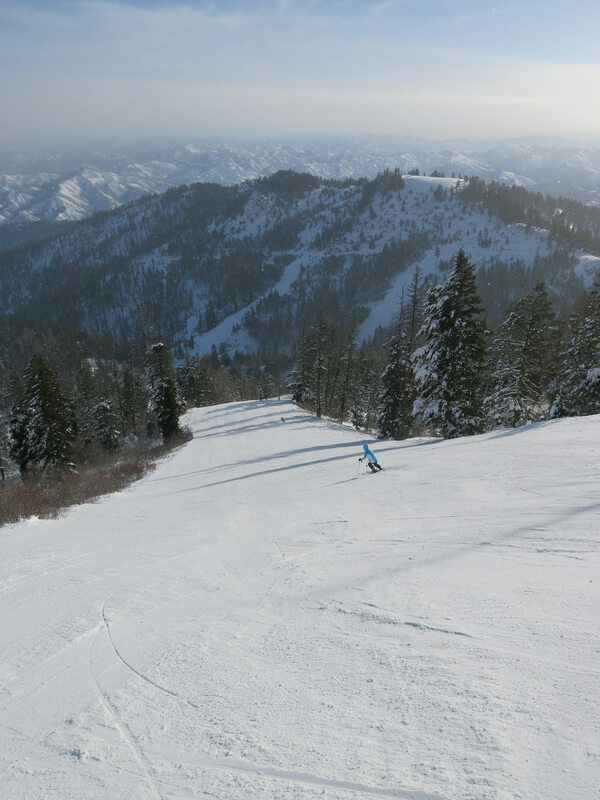 Bogus Basin is right outside of Boise and caters mostly to locals, but it compares favorably with many well-known popular destination resorts in our opinions. We had a great time at Bogus Basin. 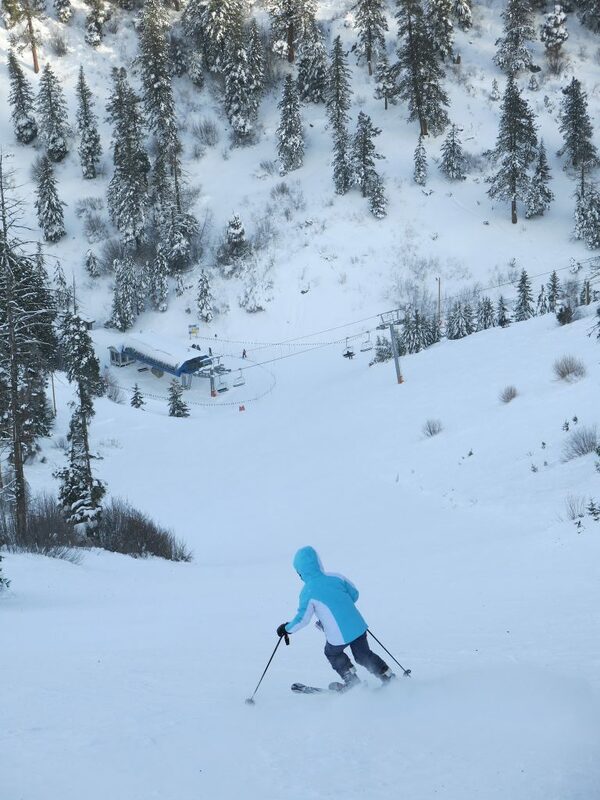 Our timing was really superb because the snow coverage and quality was great. 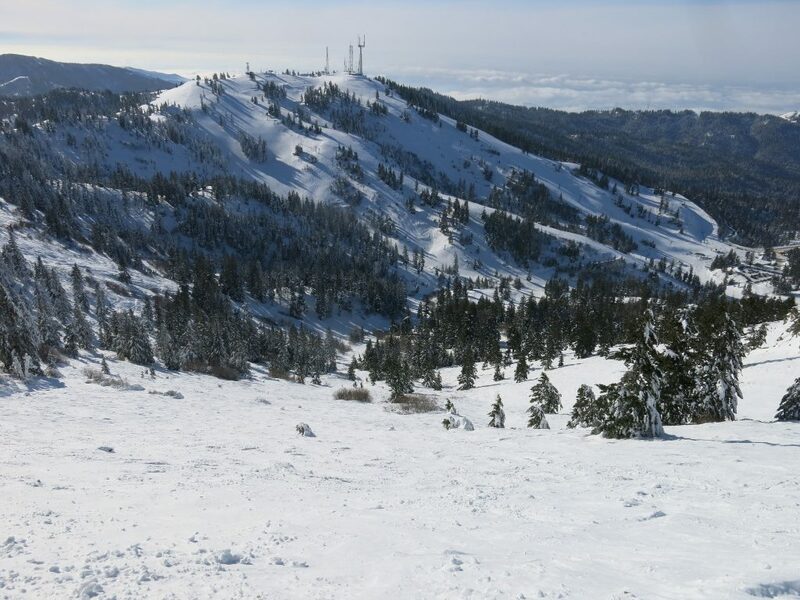 We had been trying to go for a couple of years and it never worked out with snow and schedule, but they got some great early season snowfalls and cold temps so we jumped on it over our Christmas break. The entire time we were in Idaho we never saw temps that got out of the teens, and on our drive through McCall a couple of days earlier it was -9F. Bogus is accessed via a windy road that climbs right out of downtown Boise. It is much like Ski Santa Fe in that regard. I think we paid less than $50 for our full-price tickets purchased at the window. Idaho (other than Sun Valley) has the cheapest ticket prices we have found. For people living in Boise, it is a super close, inexpensive, and convenient option. There are several parking lots at different levels. We went to the highest one which gave us direct access to the back side. Bogus almost seems like 2 completely different ski areas. The back side was empty, cold / shady, and steep. 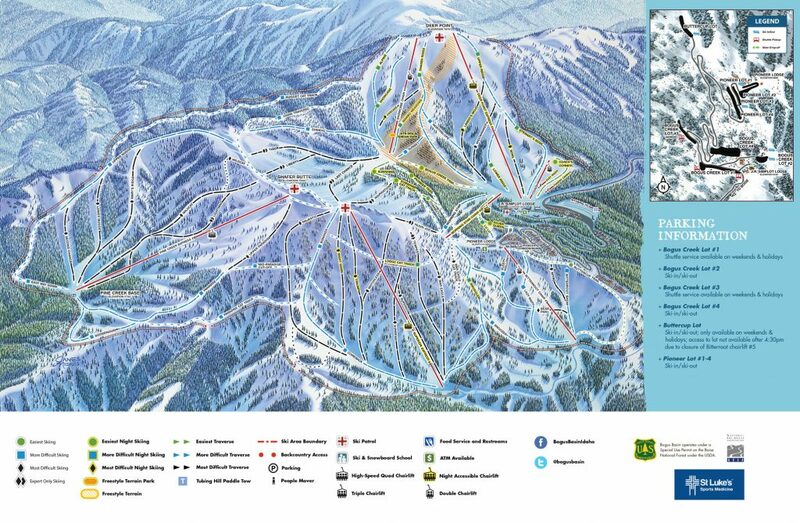 There are 3 high speed quads at this fairly large resort of 2,600 acres, and 2 of them: Superior and Pine Creek, serve the best backside terrain. The grooming was excellent, runs are long, and there is plenty of variety. 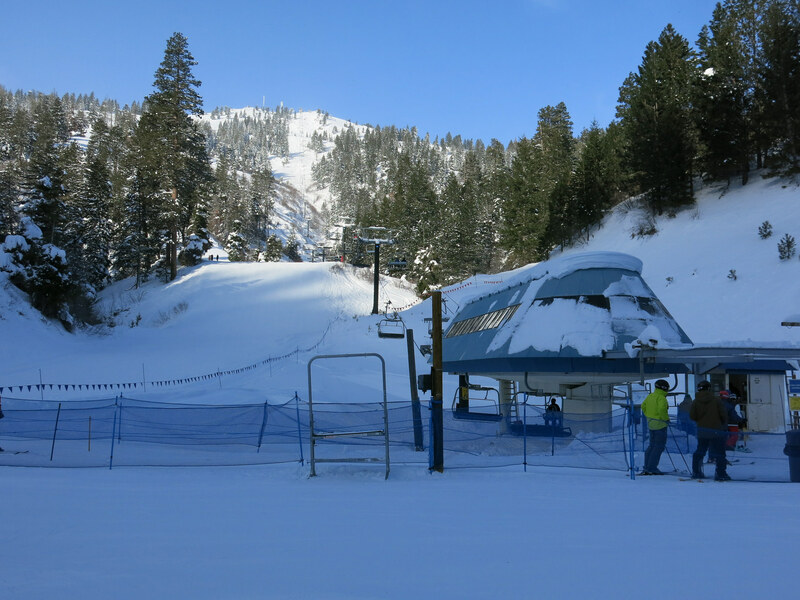 We found it strange to have this terrain pretty much to ourselves all morning during Christmas week. The only problem was the lack of any lodges on the backside high-speed quad pods. They have a snack shack that was open, but no place to get warm. This area is very convoluted with lots of possibilities to get into the trees, but it’s a little intimidating the first day so we played it safe. It would be fun to explore this area over an entire season, finding the secret powder stash’s. The trail map makes it look like the trees are very sparse but that’s not the case and you could easily get into the thick stuff if you don’t know where you are going. After skiing most of the major runs on the back side we went over to the front for a late lunch. Turns out that’s where everyone was. There was nothing special about the food service and the base lodge was pretty basic and crowded. After lunch we mostly skied the front-side. 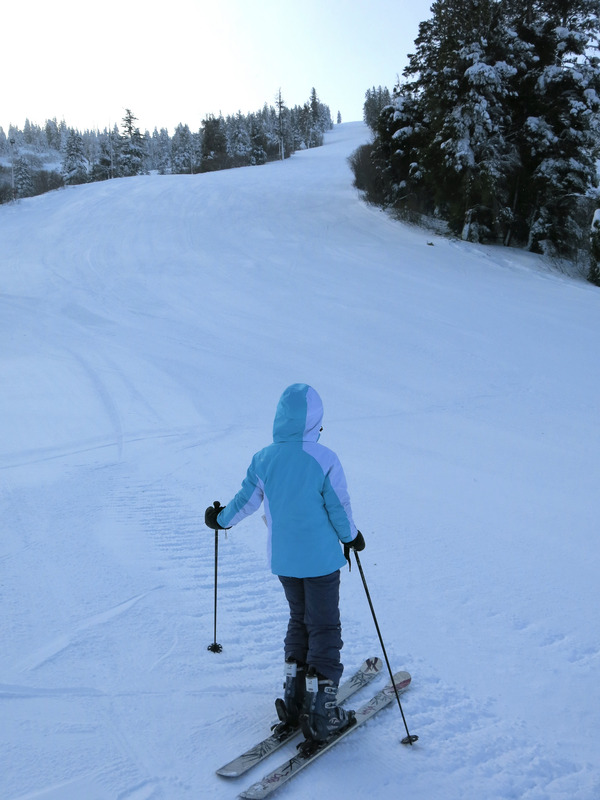 The beginner terrain was mobbed with families of a lower skill level. The frontside high-speed quad Deer Point serves some great terrain, but had long lines. The triple Morning Star was worse, but these are both fun pods and we would have spent more time there if it wasn’t so busy. 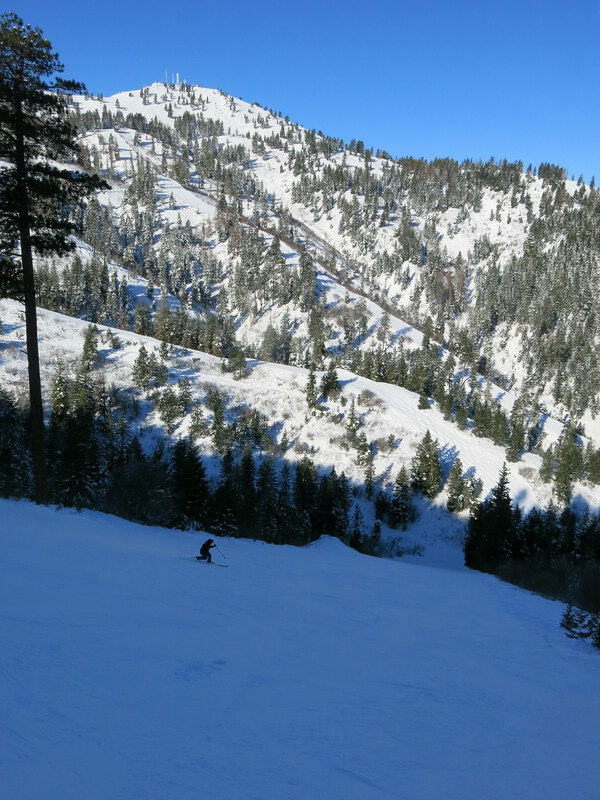 Our last stop was the shorter double chair Bitterroot. This is really small-ball and we could have skipped it, but we wanted to cover as much of the terrain as we could and the parking lot we used was right at the top of the chair. This is another one of those unexpected finds that we really enjoyed and we would definitely go back if the stars align with snowfall and timing. 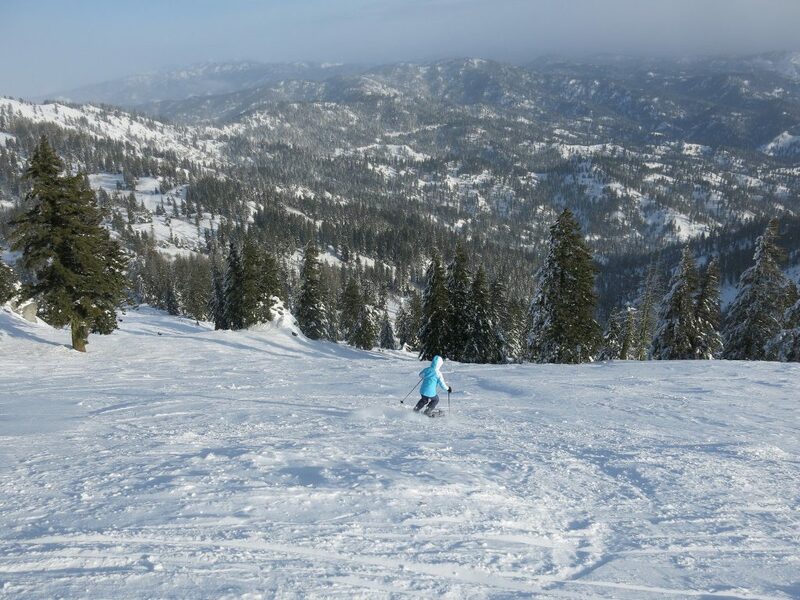 It’s so convenient to Boise and can make for a really inexpensive ski trip between the cheap lift tickets and cheap lodging in Boise. If it got more consistent snowfall we would have rated it 4-stars, and on the right day when there is lots of snow it skis like that kind of resort.